The oldest surviving gun was made in 1288! We have two Junior programs. 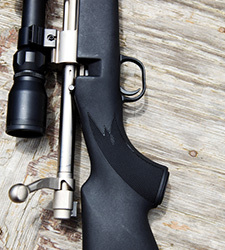 The “Beginner” is for the child who is new to the shooting sports or may need some additional instruction to perfect his/her marksmanship skills. These are highly recommended for any child who is coming to our junior program for the first time. We stress heavily the importance of firearm safety and we have many instructors (mostly NRA certified) who can provide one-on-one instruction in helping the child achieve good fundamentals in marksmanship. The “Advanced” program takes the fundamentals of marksmanship even further. The shooter may be introduced to other disciplines of shooting, such as position shooting (offhand, sitting, kneeling, and prone) as well as other types of firearms, such as pistols and shotguns. All of our junior programs are on the first Saturday of the month from September until April. These programs are free of charge and LRPC will provide everything the child needs, including hearing protection, ammo and firearms. Please click on the links for more information. 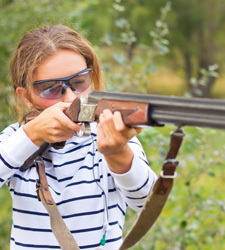 The beginner junior program is for youth between the ages of 7 and 17 who do not have much experience with firearms and require more coaching in the areas of safety and marksmanship. This program is conducted the first Saturday of each month from January through April, and October through December. Our goal in this program is to teach the safe handling of firearms and the enjoyment of the shooting sports. Each child must be accompanied by a parent or guardian, who must sign a release of liability. The release of liability form will remain on file for each calendar year. This program is free of charge and LRPC will provide all targets, ammunition, .22 caliber rifles and instruction. Most of the instructors are NRA certified. The starting time is 1:00pm and the instruction will continue until all participants have completed at least one complete target, more if time allows. The targets provided are the A-17 military training target and are fired at 50 feet in the prone position. Large groups (a party of 6 or more) are always welcome to attend. Please contact Ron Shultz at 863-397-4433 a week in advance to reserve. There is no limit on the number of times a child can attend this program. As the child becomes more proficient, we recommend moving to the advanced junior program. The advanced junior program is a continuation of the beginner program for youth who have demonstrated proficiency in the beginners program and who have a good understanding of safety and the principals of marksmanship. Participants in this program receive more intensive training: shooting at greater distances, the introduction of position shooting and the shooting of firearms other than a .22 rifle, such as target pistols and shotguns. This program is conducted the first Saturday of each month from January through April, and October through December. This program is free of charge and LRPC will provide all targets, ammunition, .22 caliber rifles (or any other firearm used for the lesson), and instruction. Most of the instructors are NRA certified. The starting time is 10:00am and the instruction will continue until all participants have completed at least one complete target, more if time allows. Large groups (a party of 6 or more) are always welcome to attend. Please contact LRPC at 863-665-0092 to reserve. There is no limit on the number of times a child can attend this program.